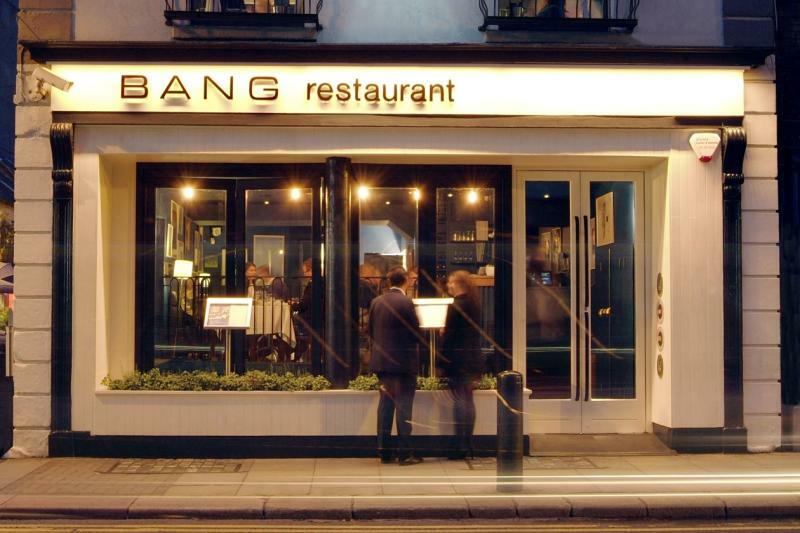 Spread over three floors a short stroll from St Stephen's Green, Bang Restaurant is a cool, confidently run, professional set-up that delivers the goods in classy minimalist surroundings. 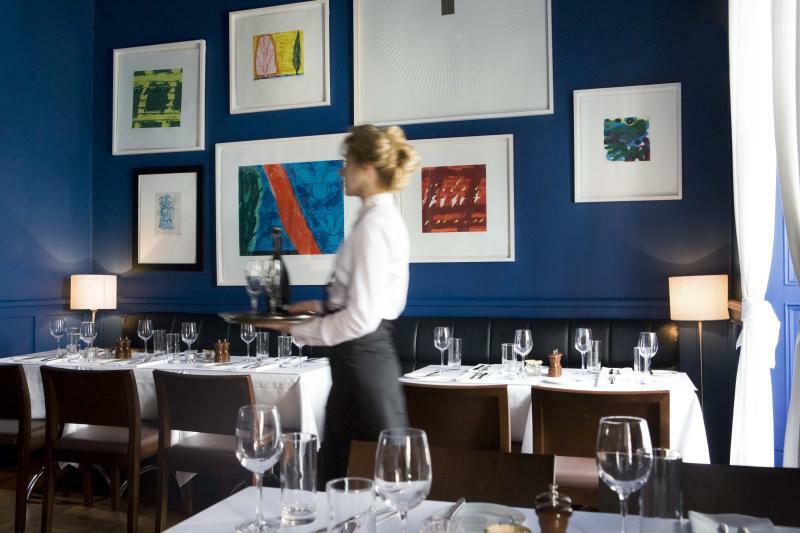 Drinkers congregate in the basement bar, while serious foodies graduate to the upper levels where sharp contemporary dishes are delivered from an open kitchen. 'BANGers' (courtesy of Hicks butchers) with chive mash, mustard and shallot jus are a signature dish, but most of the repertoire is more challenging stuff: pan-seared foie gras comes with onion bhaji and Sauternes jus, seared tuna loin arrives with guacamole, tomato relish and rocket, while roast squab pigeon is partnered by sherry-roasted leeks and chocolate sauce (plus another helping of foie gras). A few eclectic overtones also appear in – say – Thai baked sea bass with snake beans, although Irish steaks bring it all back home. 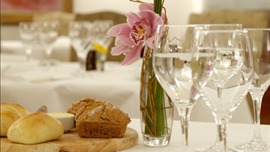 To finish, expect rhubarb crème brûlée or Scandinavian iced berries with hot white chocolate sauce, as well as artisan Irish cheeses with walnut and raisin bread. Jazzy cocktails and well-chosen global wines.